Words and Photography by Guest Writers Kirsten and Ian Rossiter. London! A city of Queens and Princes, afternoon tea and warm beer. 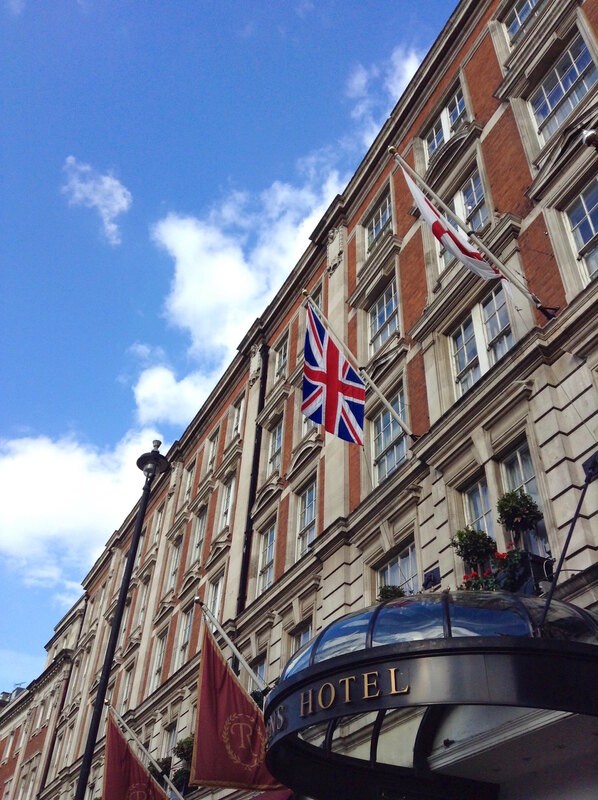 It’s not likely you will get bed and breakfast at Buckingham Palace, in one of its 775 rooms next to the Queen, but you couldn’t ask for a better location than sharing a postal code with the Queen, right across the road at The Rubens at the Palace Hotel. A 4 Star Hotel offering 5 Star personalized service with a smile. Your five star service begins with a guest preference email requesting personal details, from your favorite colours and design styles to your choice of pillow and duvet inners. The Rubens staff pride themselves on attention to detail and ensuring your room is specifically selected to suit your personality. The Rubens offers a choice of 161 “pet friendly” rooms, from deluxe guest rooms, royal rooms to luxurious suites and even two self contained apartments, each beautifully furnished with meticulous attention to detail. Room furnishings vary from modern to regal, with many shades to choose from, from Royal Red, Jade Blue to a more neutral Golden Beige. Our room, a Superior King, was a comfortable size with an ensuite bathroom featuring a bath shower combo, much to our delight. Our view left a little to be desired, overlooking the adjacent building. Despite the presence of significant construction in the surrounding area, the room was incredibly quiet. The room amenities included air conditioning, built in safe, tea and coffee making facilities, bottled mineral water (both sparkling and still), evening turndown service, luxurious bathrobes (sized for ladies and gents), slippers and a high powered hair dryer, sufficient to justify leaving yours at home! 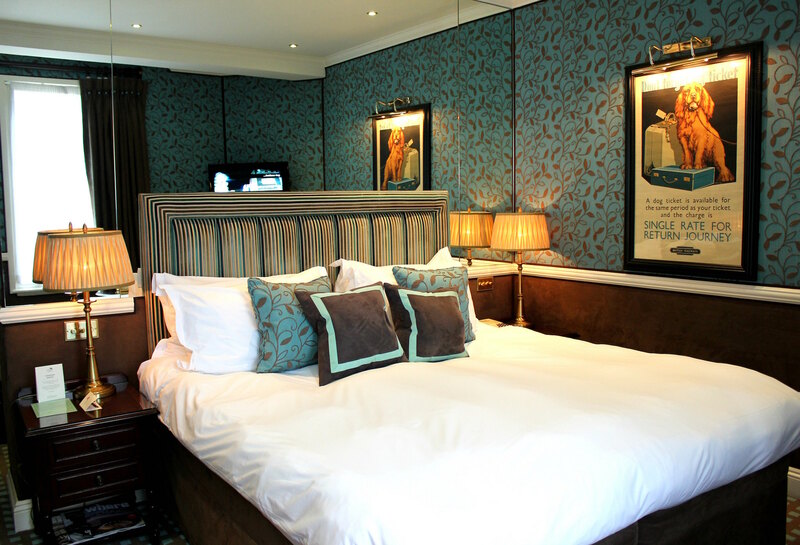 The Classic Double rooms at the Rubens start from £203 per night, including a full English Breakfast, taxes, fees and complimentary wifi. A key draw card for The Rubens is location, location, location! Less than 500 meters from the golden gates of Buckingham Palace and only 300 meters from the bustling Victoria Station with access to Coach Services, the National Railway, and the London Underground. Victoria Station is only two stops from Oxford Circus Station, situated on the famous Oxford Street, for all those shopaholics. For theatre lovers, a 5min stroll from The Rubens will land you at the Apollo Victoria Theatre, currently featuring the hit musical, Wicked. 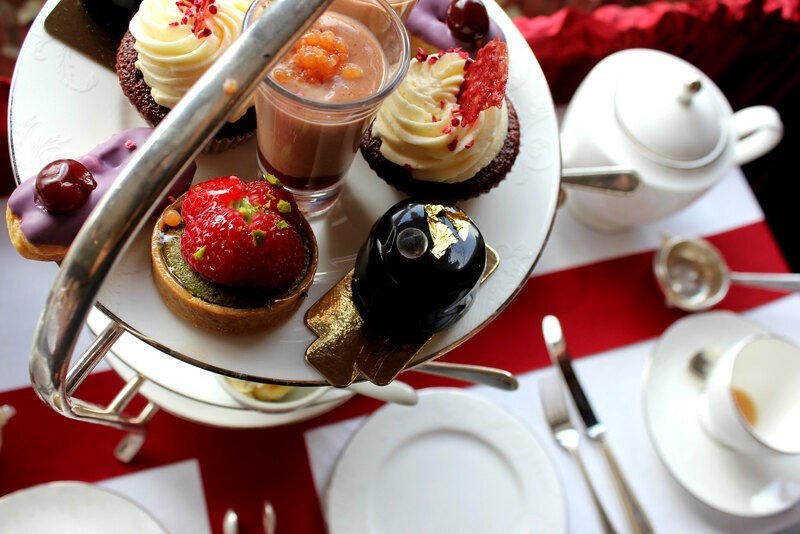 Whether you are staying at The Rubens at the Palace Hotel or not, the afternoon tea is not to be missed. A personal London highlight. 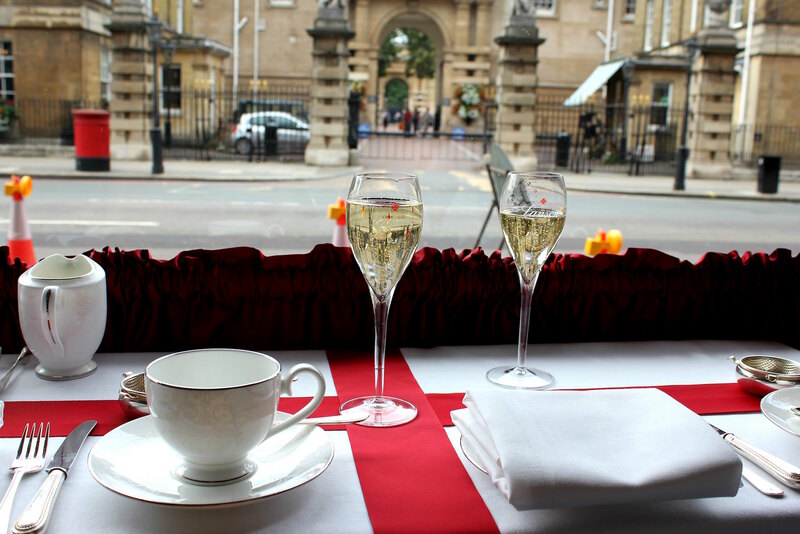 Seated at a table facing the entrance to the Royal Mews, featuring the finest champagne, Rubens signature smokey tea and a selection of sandwiches, scones with clotted cream, Jam Pennies and tarts each with a royal story of their own (literally). 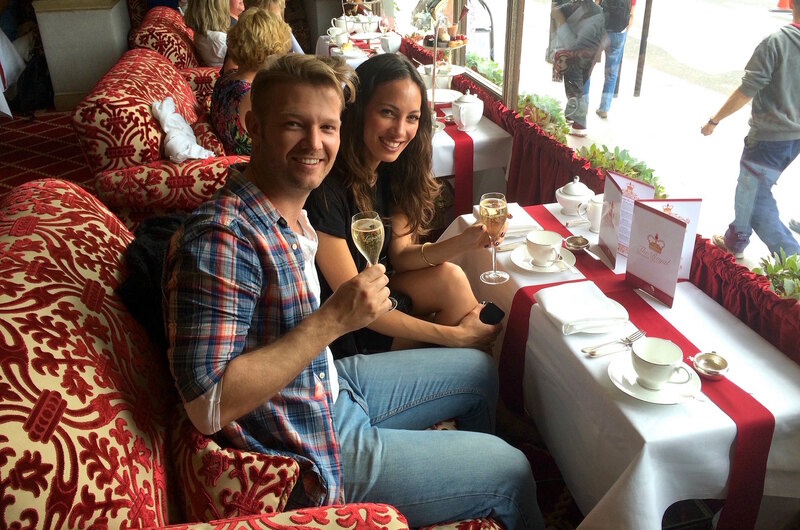 The Royal tea with a Royal View. 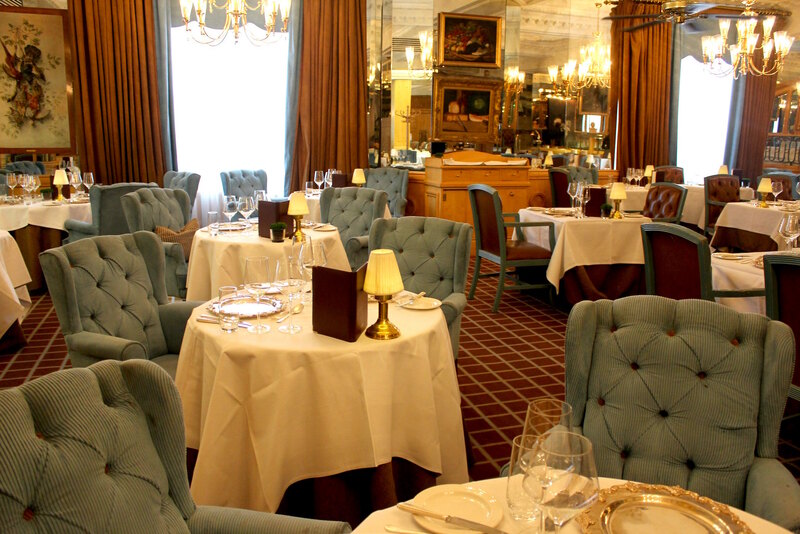 The Royal tea at the Rubens is priced from £32 per person, and the Prince and Princesses Royal Tea (for children under 12 years) is priced at £15 per child. A few Sweet treats, which includes the Chocolate Biscuit Cake that William and Kate served at their wedding reception. 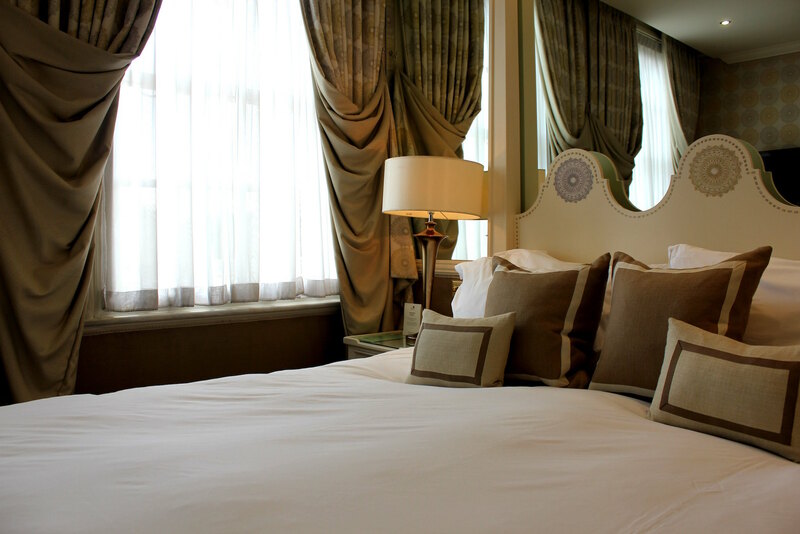 The Rubens at the Palace Hotel strikes the perfect balance of luxury accommodation and family oriented service. Arranging pet daycare and child minding activities, which include baking with the pastry chef, are just some of the ways that the warm, friendly staff go above and beyond to ensure your stay is truly an experience to remember. 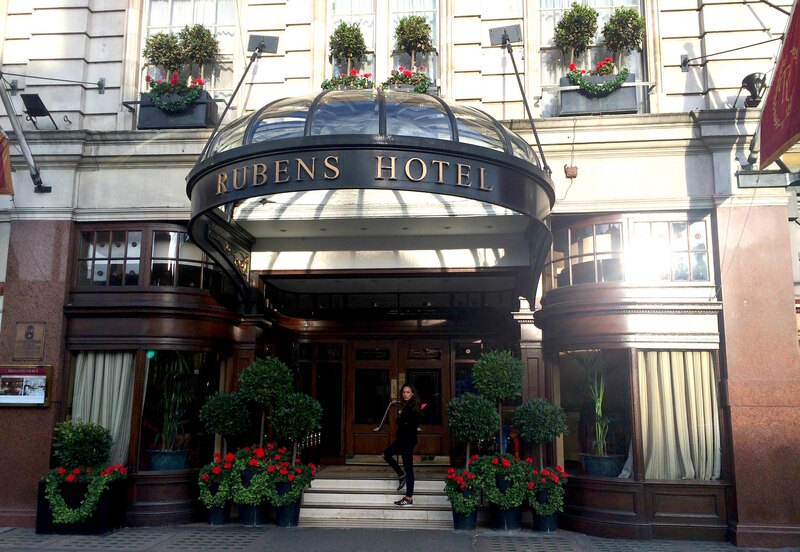 Thank you to all at The Rubens at the Palace Hotel and Red Carnation Hotels for making our stay possible. For more information on the guest writer’s adventures as a make-up artist in Cape Town and exploration around the globe, visit Kirsten Murphy Makeup.